Misfit Chey's newfound "it girl" status derails her summer plans of reuniting with her movie star father when her celeb appeal quickly eclipses his. Life in Los Angeles comes with its own set of complications, especially when she's discovered by a hot new designer and signs on as 'the face' of his summer line. 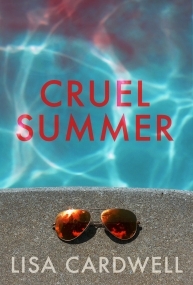 Add in her new 'it girl' status, a bad boy boyfriend and the wicked witch of young Hollywood who thinks it all should be hers and Chey suddenly has the makings of a CRUEL SUMMER.